Please refer to our stock # Hasui427 when inquiring. Kawase Hasui Japanese Woodblock Print - Senjo Plain, Nikko - 1st ed. 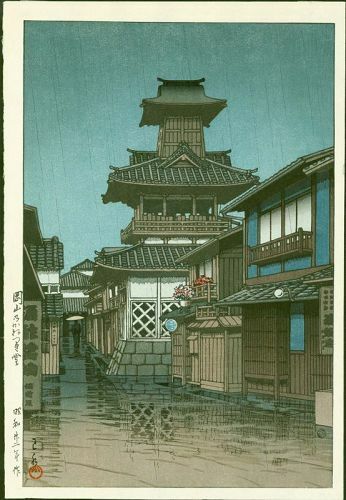 Hasui Kawase Woodblock Print - Evening Rain In Kawarago - 1st edition Kawase Hasui Japanese Woodblock Print - Shiba Zojoji Temple 1st Ed.